Maybe it's the cold breeze sweeping into the OC these days or maybe it's the holiday spirit waking up to its natural clock; my domestic urges are reviving and I'm actually spending time in the kitchen, experimenting with some new simple recipes. I bought a bag of chicken breast strips from Trader Joe's that I thought were already breaded so I can just heat up some fried chicken strips for my brother after school some days. To my surprise they were bare chicken breasts and that wasn't going to do for my brother's tastes. 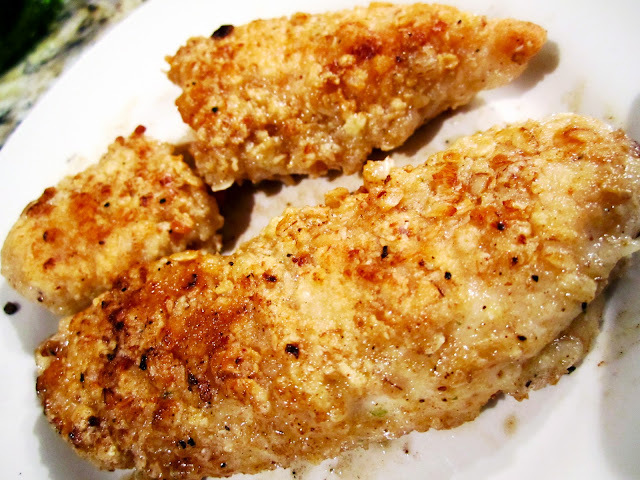 I decided to find what I had in the house and make breading for the chicken and just fry my own. I think I stumbled upon my own amazingly flavorful recipe to which my brother exclaims he loves and is much better than McDonald's or anywhere else. Coming from a kid with picky taste, that's pretty rewarding to hear. And this was so quick and easy to make, it's definitely going to be a weekly meal. Coat the chicken breast in beaten egg yolk to add flavor as well as become an adhesive for the breading. 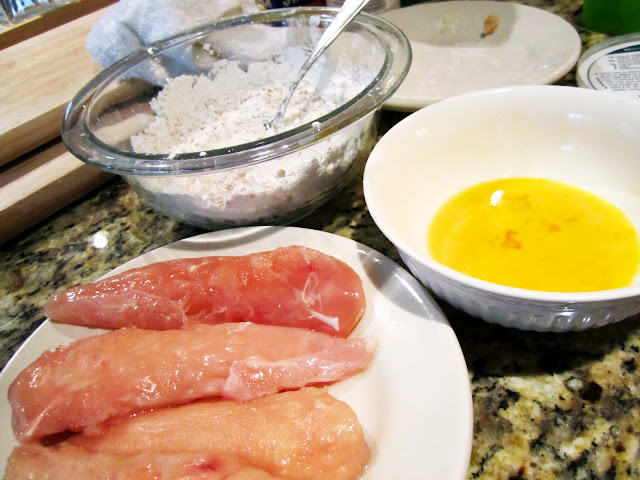 Then sweep the chicken breast through your breading mix. In mine, I used flour, paprika, garlic, salt, pepper, oatmeal, and a bit of spice to give it a kick. The oatmeal gives the chicken extra crunchiness. I also used grapeseed oil to fry since it has the highest smoking point of all oils before burning and will be less volatile. Needless to say the oil is very healthy with a high concentration of Vitamin E and has a neutral flavor if you don't want the flavor of your food to be compromised.